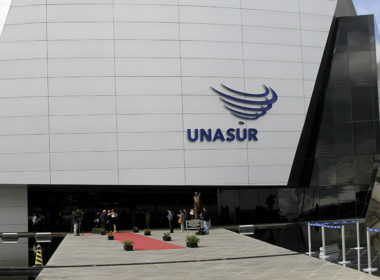 Half of Unasur’s members suspended their participation in the South American bloc. The American-friendly governments of Argentina, Brazil, Chile, Colombia, Paraguay, and Peru coordinated their move just days after Bolivia assumed the rotating presidency of the organization, justifying their decision on the alleged basis that the landlocked country hasn’t provided any real sense of leadership in the few days that it’s been in charge of this regional integrational group. This explanation is clearly a poorly crafted excuse to disguise the fact that these right-wing governments, some of whom came to power after US-supported “deep state” and “constitutional” coups, are doing Washington’s bidding in trying their best to reverse the regional progress that was made during the leftist “Pink Tide” that swept the region over a decade ago. This move also correlates with the US’ efforts to divide the Mercosur trading bloc that was created around that time too, half of whose members were just involved in what happened with Unasur. Of the remaining six countries that are still active in the continental organization, half of them are part of the Venezuelan-led ALBA group that also counts Bolivia and Ecuador as members. Their integrational efforts have been faltering over the past few years as Venezuela sank into the depths of US-provoked Hybrid War and was unable to subsidize the organization to the degree that it used to. The other three countries still left in Unasur – Guyana, Suriname, and Uruguay – are small, weak, and relatively impoverished, and Venezuela’s ongoing territorial dispute with neighboring Guyana represents yet another fault line in this already fractured organization. For all intents and purposes, the mass self-suspension of half of Unasur’s members will render the bloc functionally useless as planned but end up ultimately being counterproductive to the continent’s integrational interests, potentially making South America as a whole less competitive in the long-run. Another point to focus on is the how those six countries blamed Bolivia as their public pretext for pulling out of the group, which might be a prelude to the multilateral Hybrid War pressure that they plan to put on it across the coming months as President Morales prepares for next year’s polls. Following the Venezuelan template that they each have extensive experience with, Bolivia might be excluded from other regional gatherings just like the Bolivarian Republic was from the recent Summit of the Americas. Unlike its ALBA ally, however, Bolivia is landlocked and completely surrounded by four of the six countries who just suspended their membership in Unasur, so there’s a distinct chance that they might one day blockade it under whatever invented pretext in order to put maximum economic pressure on the state in provoking further political tensions within it. Altogether, the most important significance of what just happened is that it proves the success of the US’ “Operation Condor 2.0” hemisphere-wide unipolar comeback over the past few years in regaining control of most of the continent following its “Pink Tide” multipolar “rebellion” a decade ago.